Domaine La Sapinière in Hosingen - the best offers! 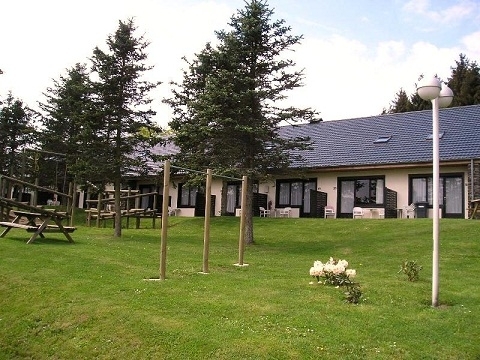 Domaine la Sapinière is in Hosingen, Luxembourg. Situated next to a beautiful nature reserve, you can explore the many walking trails before taking a dip in the heated pool. Brand new water complex at 200m! This price applies to 8-person cottage F8+, with the arrival as 13 May 2019, 2 Nights. This price applies to 6-person cottage F6 Luxe, with the arrival as 20 May 2019, 2 Nights. This price applies to 8-person cottage F8, with the arrival as 6 May 2019, 2 Nights. This price applies to 2-person apartment A, with the arrival as 6 May 2019, 2 Nights. 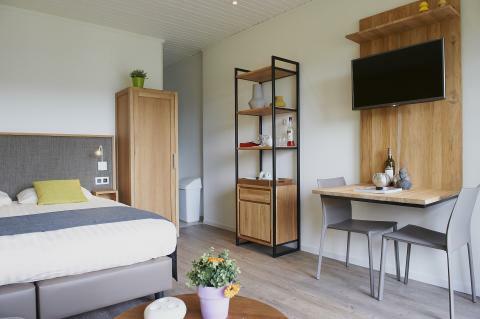 This price applies to 3-person apartment Sapinière Type B, with the arrival as 6 May 2019, 2 Nights. Based on 3 guests (adults, children and/or babies) and 1 accommodation(s). 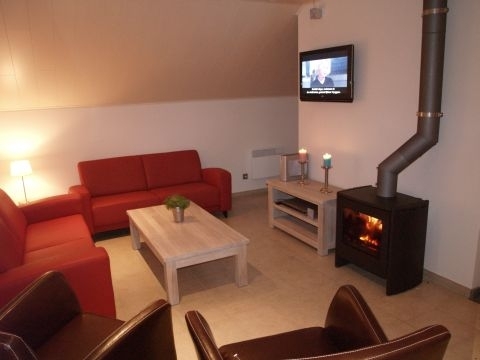 This price applies to 3-person apartment Sapinière Type C, with the arrival as 6 May 2019, 2 Nights. 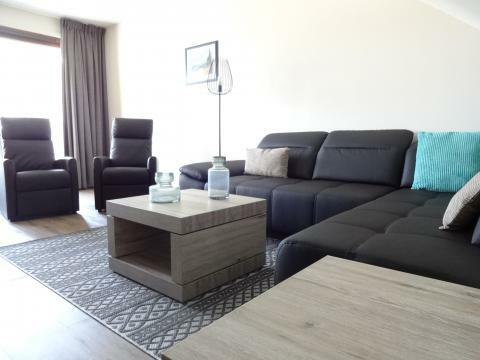 This price applies to 4-person apartment D, with the arrival as 13 May 2019, 2 Nights. This price applies to 6-person apartment E, with the arrival as 13 May 2019, 2 Nights. This price applies to 16-person group accommodation F16, with the arrival as 11 June 2019, 3 Nights. Pets are always on request. If you indicate this when making your booking, the park will take your request into consideration. Domaine la Sapinière is located 500 meters above sea level near the small town of Hosingen in Northern Luxembourg. The cottages are situated on the edge of a large nature reserve, which you can explore with the many walking routes. Visit the picturesque towns of Clervaux and Vianden, about 10 miles away, and get to know the Belgian Ardennes. When there is enough snow, you can even go cross country skiing right next to the park! Domaine la Sapinière offers visitors plenty of opportunities. There is a new outdoor tennis court, table tennis, an outdoor pool with a separate children's pool, a bowling alley, and enough space to play beach volleyball. All of the accommodations (A-E) were renovated in the summer of 2015. For a small surcharge, guests can use the mini golf course and wireless internet (in all of the cottages, the bar, and outdoors). There is also a laundry service available. About 100 metres from the park there is an indoor pool/spa complex, which you have two hours of free access to every day. For an extra fee you can use the pool for longer and make use of the spa and fitness facilties. Tickets can be obtained at the reception of the park. Children and adults can enjoy themselves comfortably in the heated outdoor pool, and there’s a separate children's pool and playground for the kids. In the summer, there are also recreational programmes for children. In July and August (with sufficient occupancy), you can enjoy a delicious meal in the park restuarant or have a nice drink in the bar. Hosingen is located in Luxembourg, close to the German border. It is definitely a must to explore the beautiful surroundings using the many hiking and cycling trails. Visit Clervaux Castle, or take a trip to Vianden where you can take a boat down the river Oure. In the evening you can admire the beautifully illuminated castles. You can also visit the Belgian Bastogne, the site of the infamous Battle of the Bulge in World War II. In the east of Luxembourg is the Mëllerdall, where peace and nature lovers can delight. This area is also known as Little Switzerland. Steep landscapes and scenic spots are abundant here. Visit Echternach, a small town full of cultural riches in which both the Romans and Germans have left their traces. Try out the Luxembourg cuisine by enjoying local food specialities in various restaurants. For the cost of electricity, 0.22 cents per kwh is charged according to the meter reading. These costs are charged upon departure at the reception. 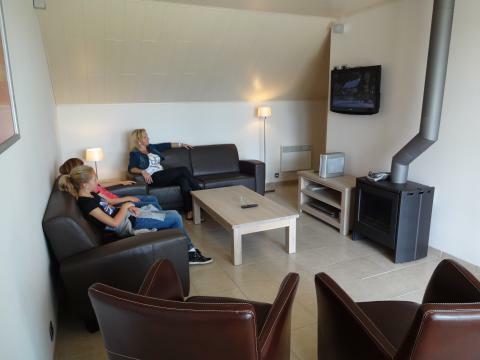 The holiday park charges a mandatory deposit of €150 per accommodation and €250 for type F16. The outdoor pool is open from early May until late September. The bar and restaurant are opened the whole year except for the following days: 05.03.2018 until 23.03.2018. The opening times of the reception are limited outside of the school holidays. The indoor swimming pool is closed on the following days in 2017: 25.12 and 01.01.2018. Furthermore the pool is closed for renovation works from 04.09 until 12.09.2017. Access-cards are available at the reception desk. Every day 2 hours of swimming are free of charge. Pets are always on request. Please make this request clear when booking and the park will take it into consideration. If your request is approved, you will be charged €5,00 per pet per night. Maximum 2 pets per accommodation. 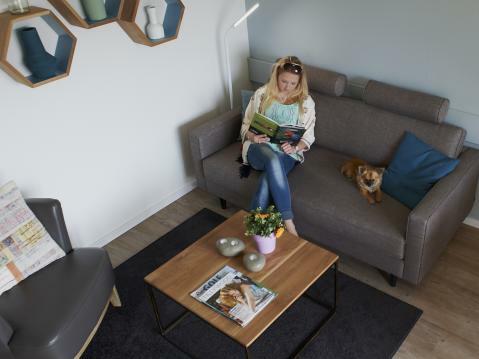 In case of a second pet, the park charges the € 5.00,- per pet per night and an additional € 25.00,- as an extra cleaning fee.